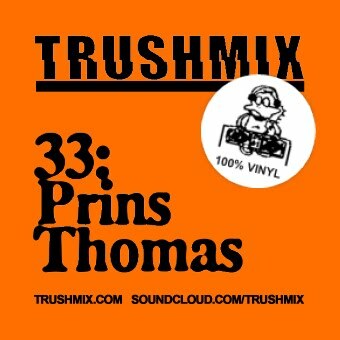 We are very happy to introduce a new trushmixer: Prins Thomas! Norwegian cosmic disco renegade, DJ extraordinaire and all around nice guy. His Trushmix is an older mix recorded at Club Module in Tokyo, all the way back in 2006. Starting off in an easy going manner, it slowly starts moving into the worlds of cosmic sounds, disco, balearic and krautrock, peaking with some house sounds towards the end. Sit back, relax and enjoy.